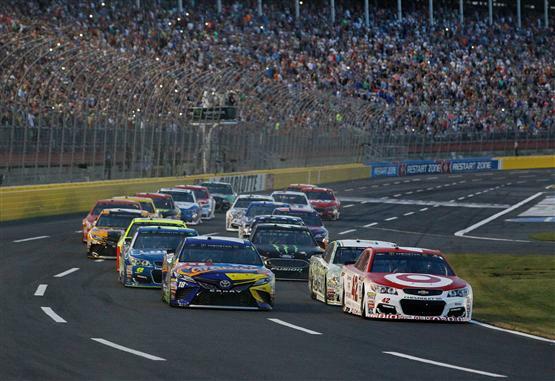 NASCAR has had new generations of cars before, but the changes they are making for the 2019 season may be the most drastic in the sports in over two decades. The 2019 rules package will be tailored to each track. The cars will have a smaller tapered spacer to reduce horsepower and aero ducts to foster closer racing. The cars will also have an eight-inch spoiler on the back to create more drag and add down-force. This rule change will have a significant impact on the 2019 fantasy season. NASCAR made the change to “even the playing field” between the highly funded teams and the lower funded teams. This will likely work early in the season but once the highly funded teams get their engineer’s minds wrapped around the new aerodynamics, they will create an advantage over the competition. Who will be the first to figure it out? Probably Joe Gibbs Racing, Stewart-Haas Racing and Team Penske. So what does this mean for Fantasy NASCAR? We need to really pay attention to the races at Atlanta, Las Vegas, Auto Club and Texas. These racing will tell us what to expect for the rest of the season. Fantasy players must adjust their picks based on what we see in these races and not historical data from races at each track. The narrative heading into the 2018 season was that the young drivers were going to take over the sport. Kevin Harvick, Martin Truex Jr. and Kyle Busch made sure that did not happen. The “youth movement” prediction may have been a year early. Chase Elliott and Erik Jones found their way to Victory Lane for the first time in 2018. These two young drivers should have more confidence to win more races this season. Elliott is one of my drivers I think will race for the championship at Homestead. He won two races in the playoffs last year and he should be even better in 2019. Kyle Larson won four races in 2017 but took a major step back last year. He failed to win a race and spent most of the season trying to figure out the new Camaro ZL1 car. Larson should get back to where he was before his slump last year. He is too talented to not be able to win races. Larson will help the “youth movement” be more competitive with the veteran drivers in the sport. Ryan Blaney is a star in the making. He is one of the best drivers at qualifying, very consistent on the 1.5-mile tracks and one of the most underrated drivers on the Superspeedways. This could be a breakout season for Blaney. He is my pick to win the Daytona 500 and I would not be surprised if he won multiple races in 2019. Other young drivers who should have better results this season include: William Byron, Alex Bowman and Chris Buescher. Rookies Daniel Hemric and Ryan Preece will also have an impact on the sport. This could be the season when the “youth movement” truly takes place in the MENCS. The “Silly Season” took a while to get going but there were some major driver changes that will affect fantasy NASCAR. Kurt Busch left Stewart-Haas Racing to fill the seat at Chip Ganassi Racing that was left empty when Jamie McMurray retired. Busch has improved every team he has joined. I expect the same with the No. 1 team. Busch should make the two cars at Chip Ganassi Racing more competitive in 2019. Ryan Newman left Richard Childress Racing to join Roush Fenway Racing. Newman said he made this change because he “liked the direction Ford was going.” I do not expect this change to affect Newman’s fantasy value much. If he gains any fantasy value with his new team it will be on the Superspeedways. The Roush-Yates engines have dominated these races in the past four seasons. Martin Truex Jr. joined Joe Gibbs Racing after Furniture Row Racing decided to close its doors. I do not expect this change to have much effect on Truex but it could have an effect on his Joe Gibbs Racing teammates. Having the No. 78 team in-house should help the No. 18, No. 11 and No. 20 teams see what the No. 78 cars was doing to beat them last year. Daniel Suarez was released by Joe Gibbs Racing and signed by Stewart-Haas Racing. The No. 41 car was a very consistent fantasy pick last year. That will probably not be the case in 2019. It will take Suarez some time to get up to speed with his new team. Matt Dibenedetto bet on himself and he won. He decided to leave Go Fas Racing before he had a deal with another team. Leavine Family Racing singed him and now he is in well funded equipment for the first time in his career. LFR signed an alliance with Joe Gibbs Racing. The shared information should make the No. 95 car more competitive in 2019. Sometimes a change on top the pit box can be the spark a team needs to be more competitive. That could be the case in 2019. For the first time in 17 years, Jimmie Johnson will have a new crew chief. Kevin Meendering will replace Chad Knaus as the lead in the garage for the No. 48 team. The Johnson-Knaus pairing seemed to have run its course. Meendering could bring new ideas and help Johnson get back on track in 2019. William Byron will now be teamed with a seven-time NASCAR champion crew chief. Chad Knaus moves over to the No. 24 car to help guide Byron the same way he lead Jimmie Johnson. Knaus has a lot of knowledge he can pass to his young driver. Byron is a quick learner, so this pairing could really work out well for Hendrick Motorsports. Denny Hamlin was not happy to see his best friend, Mike Wheeler released from his duties as crew chief of the No. 11 car. Hamlin did understand a change needed to be made. Chris Gabehart had a lot of success with Joe Gibbs Racing as a crew chief in the Xfinity Series. He has experience working with Hamlin in the past so this is not an entirely new paring. Hamlin needs a good season or he could lose his seat in the No. 11 car. Gabehart will help him get back to Victory Lane. Austin Dillon enters his sixth full season in the MENCS so experience is no longer a valid reason for his lack of success. The team brought in Danny Stockman Jr. to serve as the crew chief for the No. 3 car. Dillon and Stockman had a lot of success in the past. Dillon won his Gander Outdoors Truck Series and Xfinity Series championships with Stockman on top the pit box. Dillon is one of my sleeper picks for the 2019 season. This change should work well for the No. 3 team. Michael McDowell will have a new crew chief in 2019. Drew Blickenderfer left Richard Petty Motorsports to be the head wrench for the No. 34 car. McDowell is an experienced driver who could have more success in 2019. Front Row Motorsports made an alliance with Roush Fenway Racing. They should have better cars and now a better crew chief. McDowell is a driver who can be counted on in salary cap games because of his cheap price.